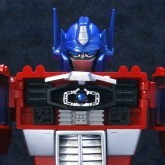 Convoy (EX Gokin) toy information. 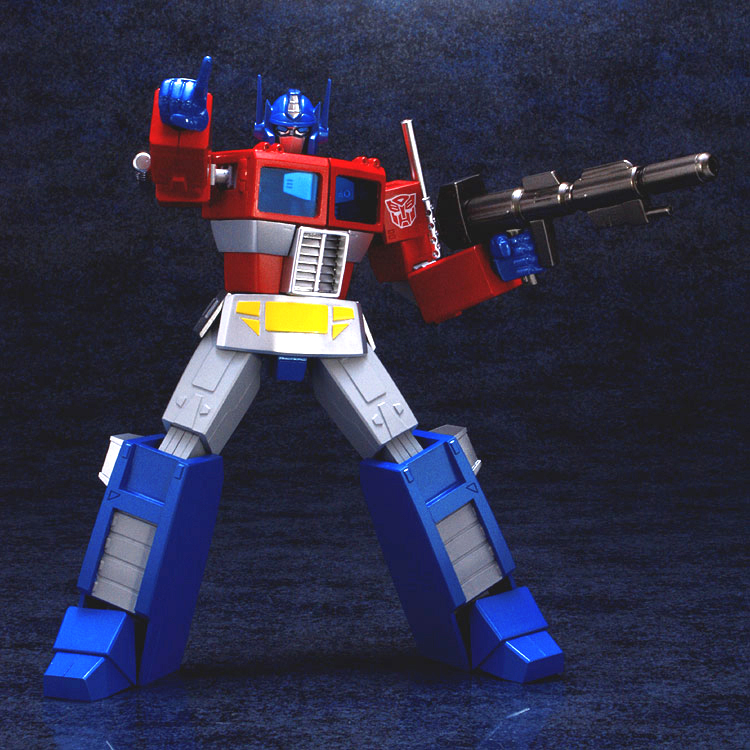 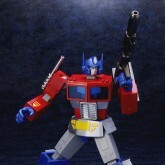 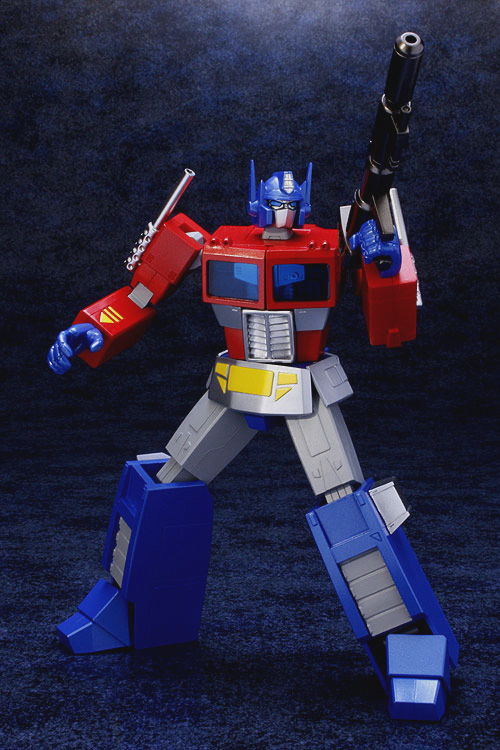 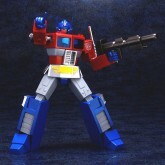 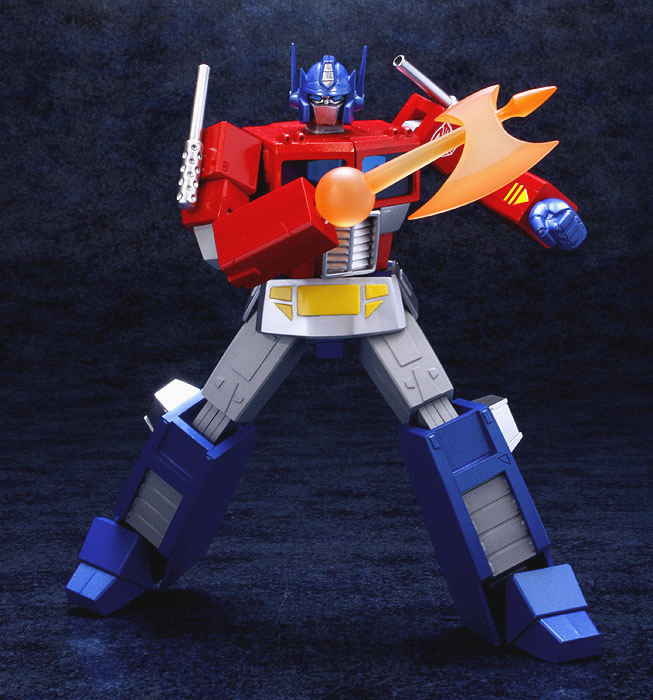 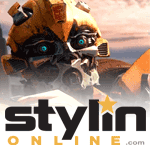 EX Gokin Convoy is a fully licensed release by Artstorm / Fewture. 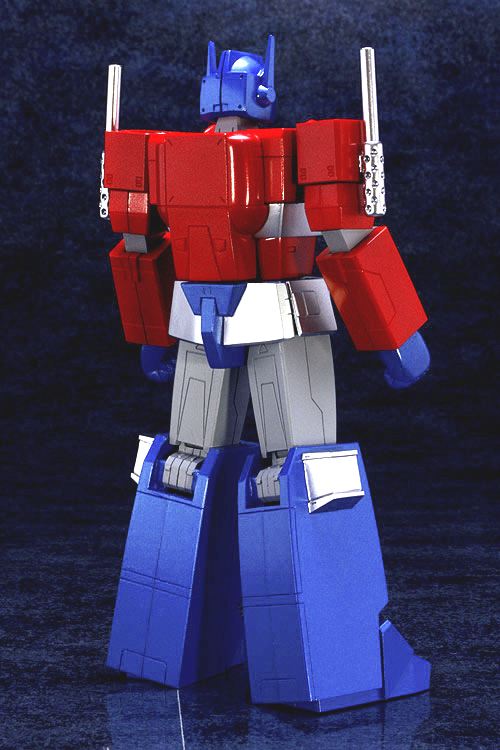 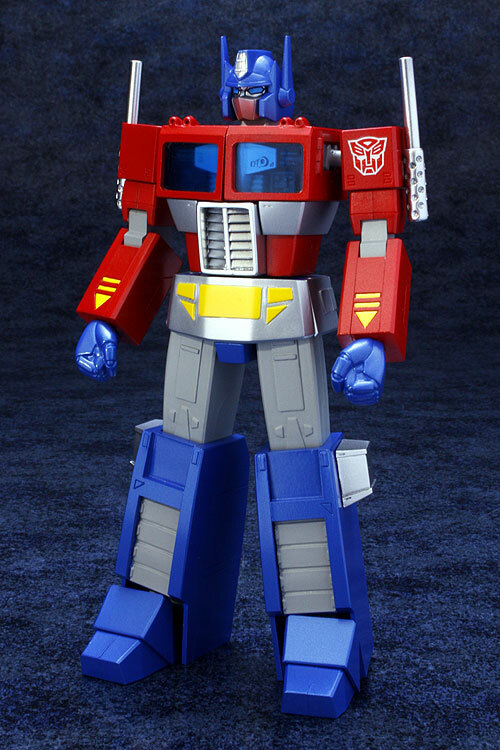 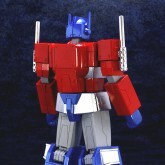 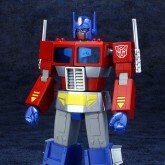 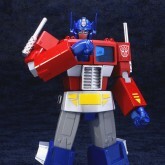 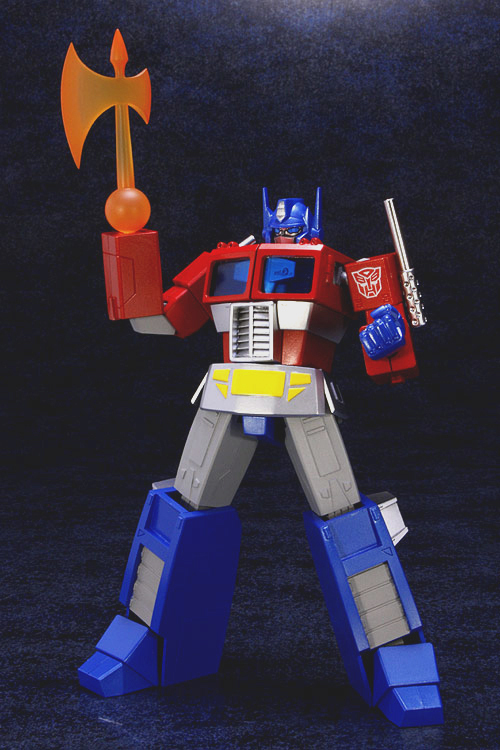 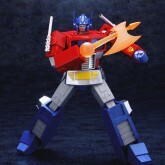 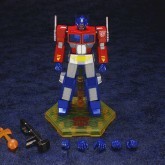 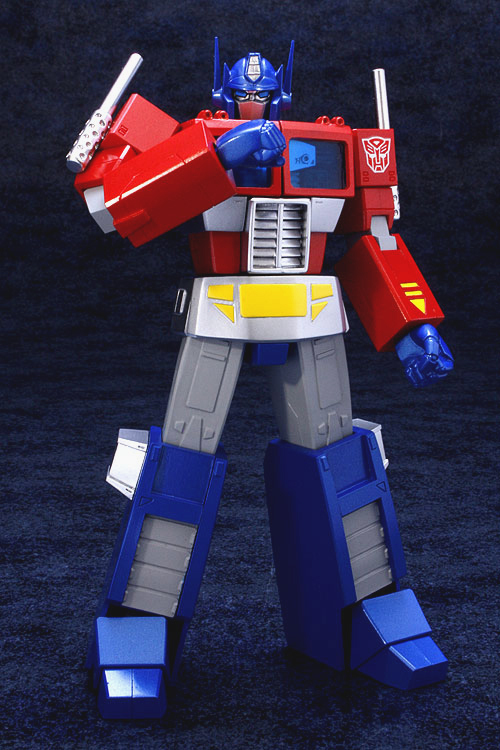 It is a non-transforming figure version of Generation 1 Convoy. 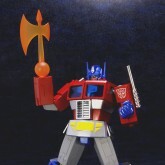 The figure stands 17cm (6.7 in) tall and comes with axe, rifle and detachable Matrix. 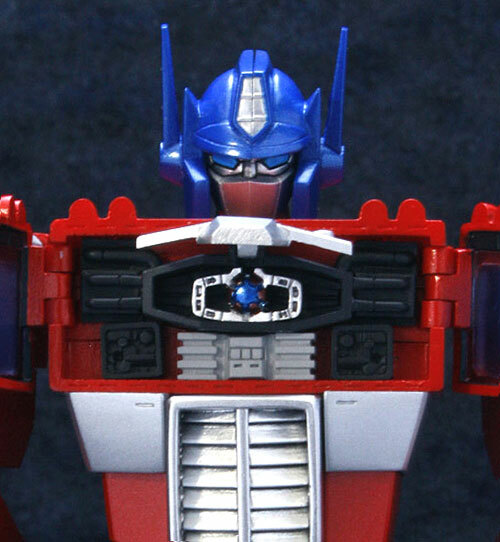 Convoy (EX Gokin) parts information. 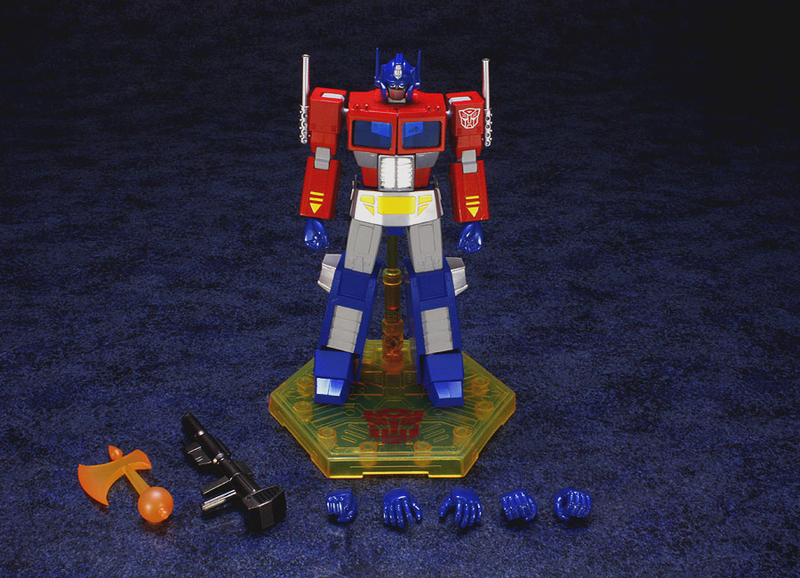 Comes with energy axe, ion rifle, display base and seven hands - left and right fists, open hands and weapon gripping hands, and right hand pointing with its index finger.